The Chocolate Muffin Tree: A Hat Like The Cat In The Hat! 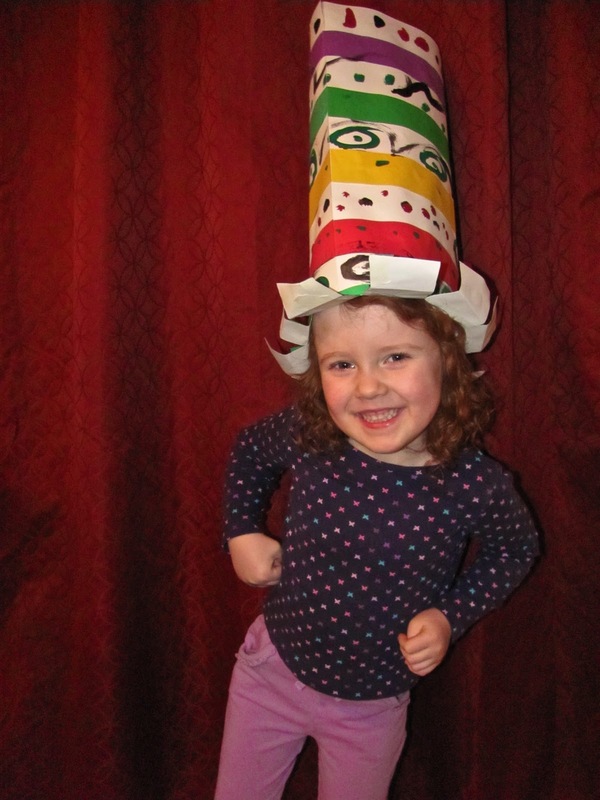 A Hat Like The Cat In The Hat! 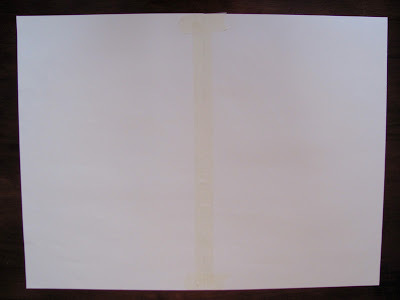 First, we used two 12"x18" white papers taped together on the 18" sides (or use a 24"x36" paper). 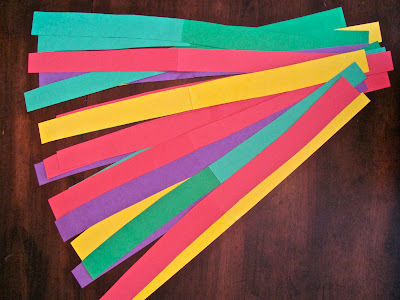 We cut a bunch of 1 inch by 36 inch strips of colored paper for the stripes of the hat. 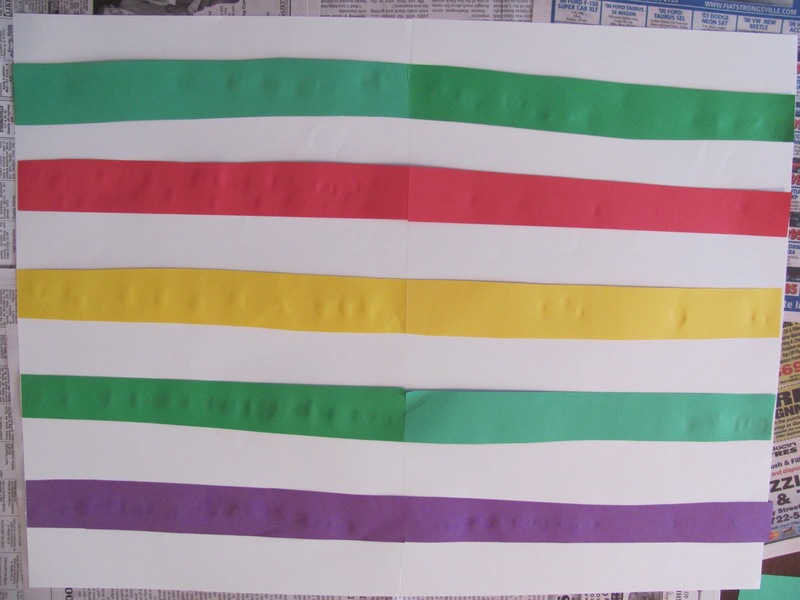 We glued the stripes using tiny dots of white glue across the colored papers. 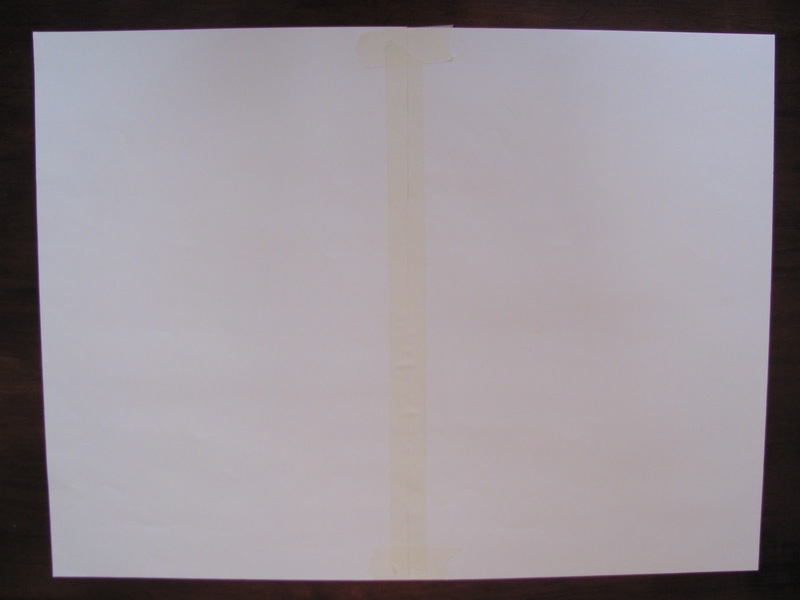 I helped to pick the long stripe of paper up and turn it over onto the large white paper. Too hard for a preschooler! 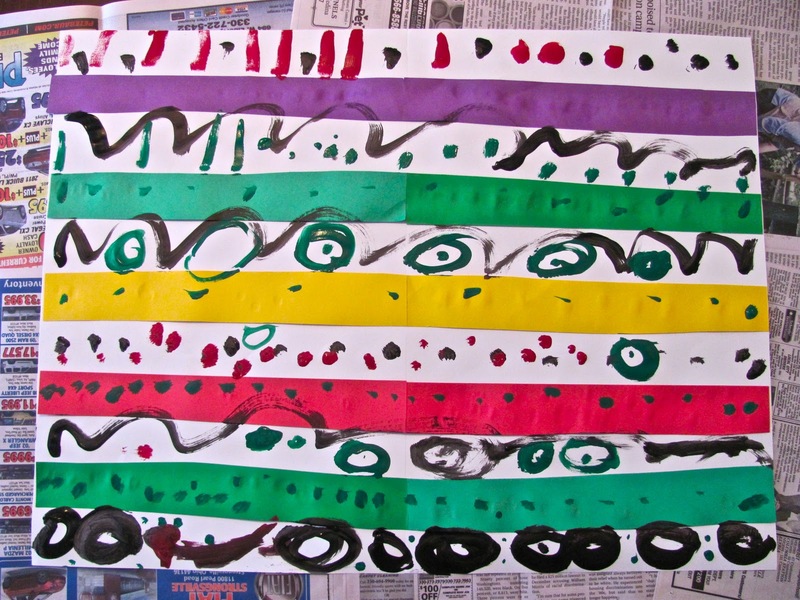 You could create a pattern or multi-colors. 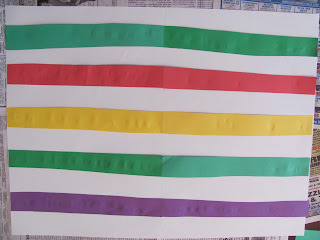 Next, to make the hat "extra fancy" we painted between the stripes with shape and line details! My daughter decided to paint on the stripes too and I think that looks great too! BEAUTIFUL WORK! Now, to let it dry for a few hours! Before fitting it to wear----fringe one longer side about three inches in or so! Fold up the fringe for the brim of the hat. I carefully shaped the fringed end around my daughter's head, took it off then stapled it! (kinda tricky to get the right fit at first!) Then, I stapled the top and then it was ready to wear or display! Whata FABULOUS hat and isn't your little girl simply adorable! Love the craft! Love the result! Love the hat idea as well as hat bright colors. This hat turned out so pretty! I love her big smile. Thank you for the compliments! She is very photogenic! This hat is such fun! I love the picture of your daughter wearing it. This is incredible. I absolutely love it. 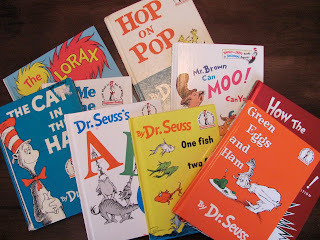 We too had a Dr. Seuss filled day yesterday. I'll be posting all our fun activities on his birthday. @JDaniel4's Mom Thanks! Your Welcome! @Jill Thanks so much! Looking forward to see your Dr. Seuss post! Great idea for Dr. Seuss's birthday - simple, cute, and creative! I featured your post at the Living Montessori Now Facebook page at http://www.facebook.com/LivingMontessoriNow (also in the Living Montessori Now Community)! Thanks Deb! I appreciate the compliments and thanks for featuring me! Hey---thanks a lot!!! Thanks for stopping by! Love your blog! Thanks for joining my Linky Party! I love this project! Very pretty - this hat turned out awesome! @ S. Parker your welcome! Glad you enjoyed the project! @ Happy Child Thanks!! and thanks for stopping by! 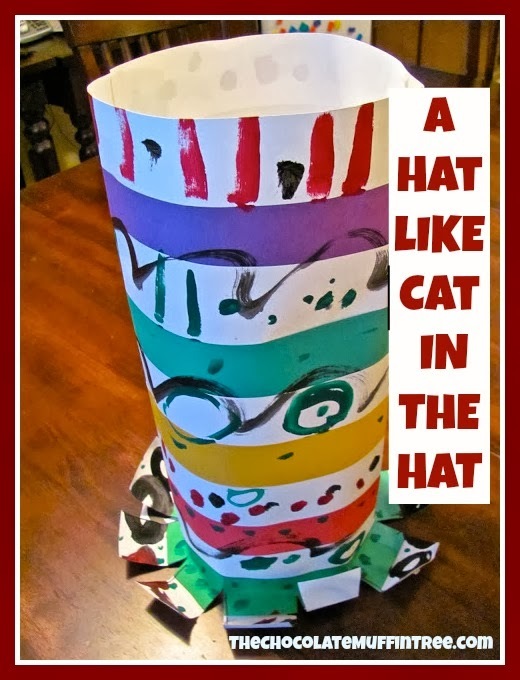 One of the most colorful hats I have seen so far:) Thanks for sharing a link to your post on my linky today! We just had to make it more than just red and white! Your welcome! Love it! 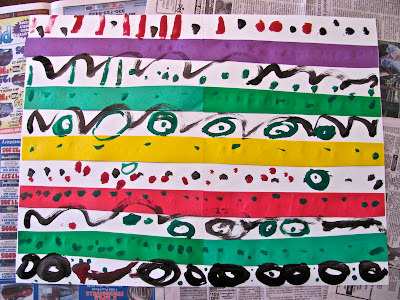 Thanks so much for sharing all your wonderful projects on Craft Schooling Sunday! I love, love, love, LOVE this idea I'll be doing this with my three girls tomorrow. Thanks. What a wonderful post, the hat is amazing! Tiny Crowns For A Little Princess! Body Crayons Were A Blast! What To Do With Magic Nuudle Creations? Bringing Color To The Snow! Super Easy Chocolate Covered Strawberries!! Watercolor Heart Snowflakes Were A Hit!! The Day It Rained Hearts!!!! Too Cold For A Snowman! POP ARTish Spin Art Heart Valentine Cards! !